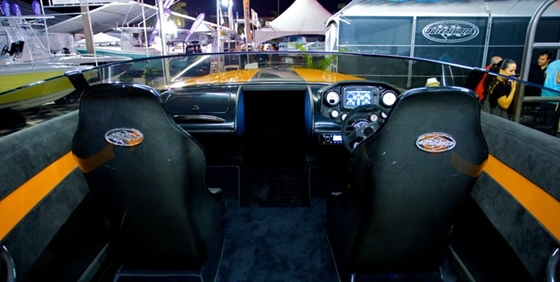 The Rhode Island builder has a slew of new power catamaran models underway, ranging in size from 32 to 55 feet. 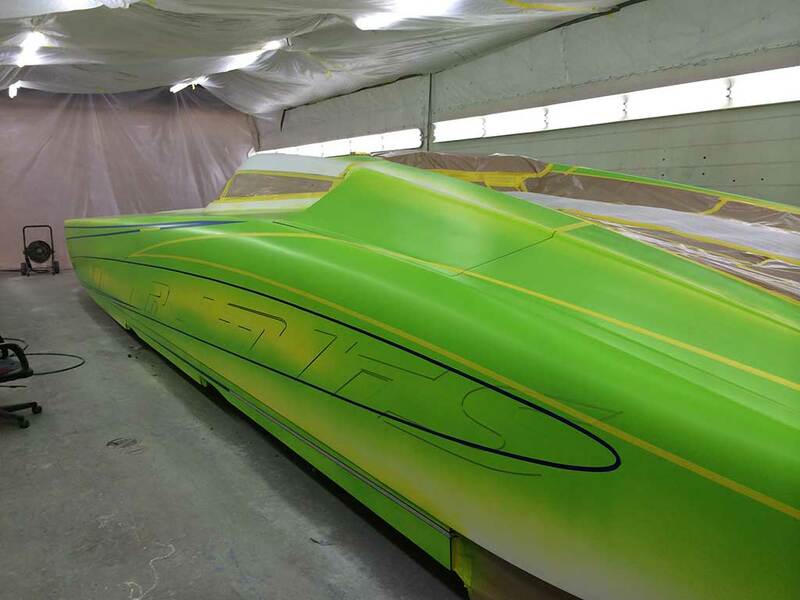 With two new 46-foot power catamaran boats currently in production, Outerlimits Powerboats’ push to expand its cat line is gaining momentum, according to Mike Fiore, owner and founder of the custom high-performance boat builder. 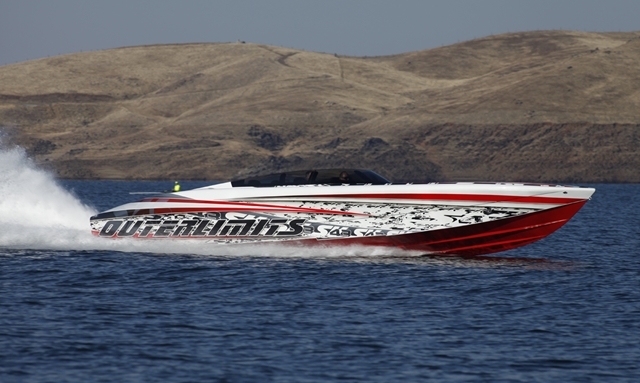 This is one of two 46-foot custom high-performance cats that Outerlimits has in production. 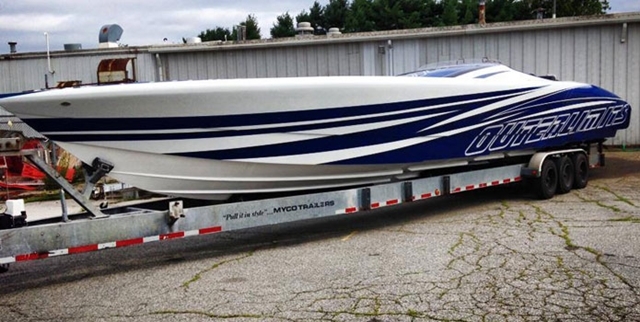 The company also is adding 32- and 55-footers to its cat series. The company made its name from of a series of V-bottoms from 29 to 52 feet. 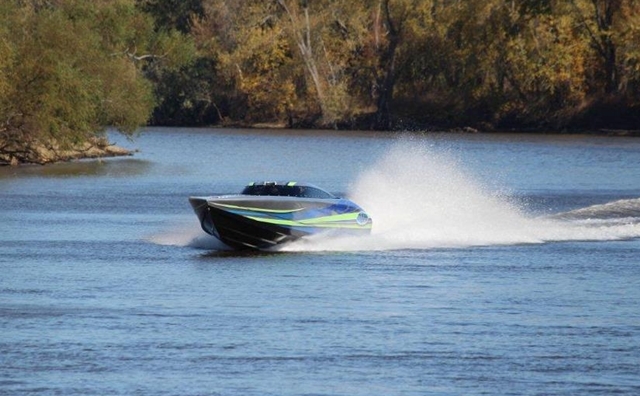 In addition to the new 46-foot cats—one to be powered by twin 1,450-horsepower Chief engines and the other to be set up with 1,350-horsepower mills from Mercury Racing—the company is in the “final engineering” stages for its 32-footer. The new 46-foot cats should be complete by summer. 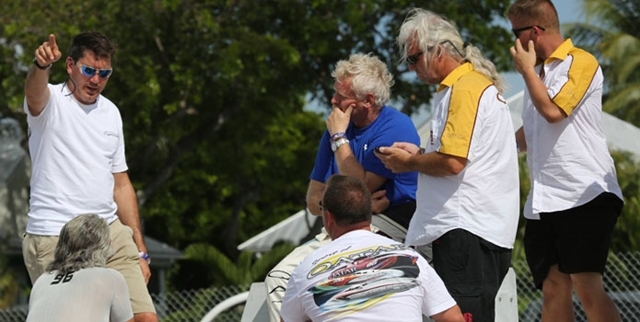 “We’ll start CNC cutting on the hull plug in three to four weeks,” says Fiore. On the larger side of the high-performance catamaran spectrum, Fiore says that engineering has begun on the company’s first 55-footer, which will be the most technologically advanced Outerlimits—V-bottom or catamaran—built to date. 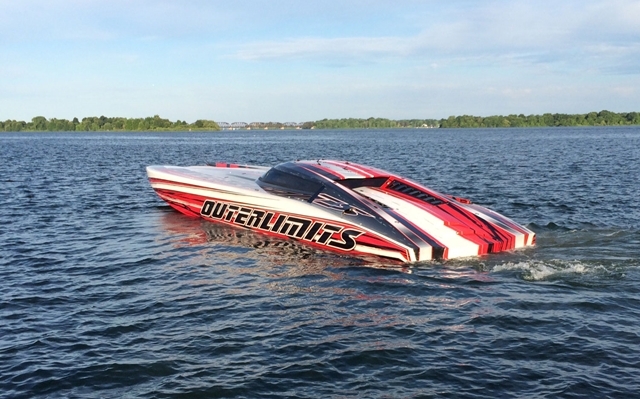 Outerlimits is collaborating on its cat line with Steve Curtis, a world champion offshore racer, team manager, and boat builder whose father founded the famed Cougar line of offshore racing cats in England. 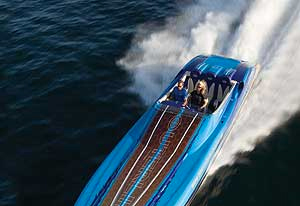 For more information, visit Outerlimits Powerboats. 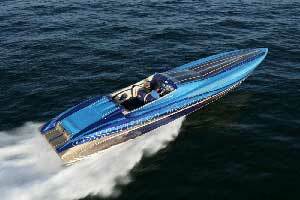 See all listings for Outerlimits Powerboats.